Curious to know if you sifted any of the bran etc out of your grain as you have in the past. 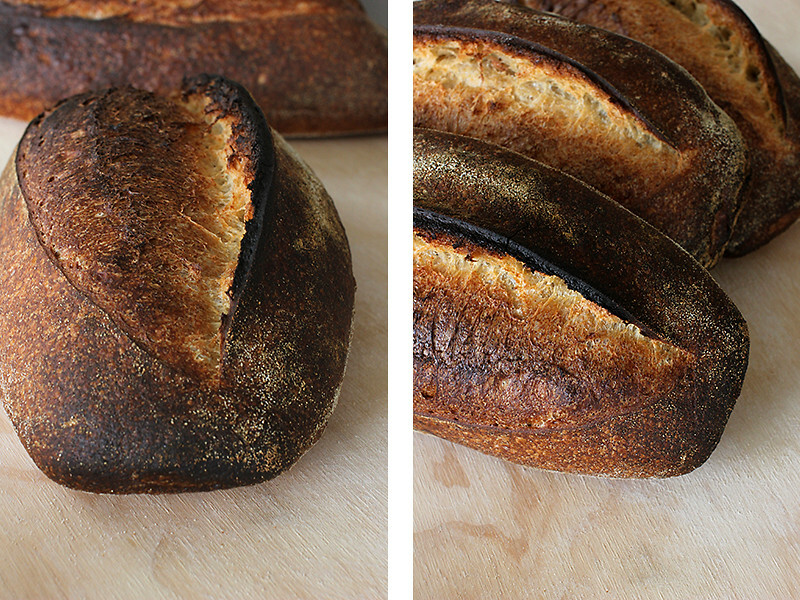 These appear to have the full grain based on what I get with my loaves. Holes but not huge gaping ones. I tend to get more spring if I keep HL lower - like 65%-70% and watch the proof time like a hawk so it only proofs to about 70%....I don't always achieve that if I have a hectic day and now I am adjusting to warmer temps. that really impact proofing times. Almost time to use the basement as a proofing box :- ). Thanks for sharing here and for the photos as update. P.S. Do you keep the temp at 250° the entire bake???? 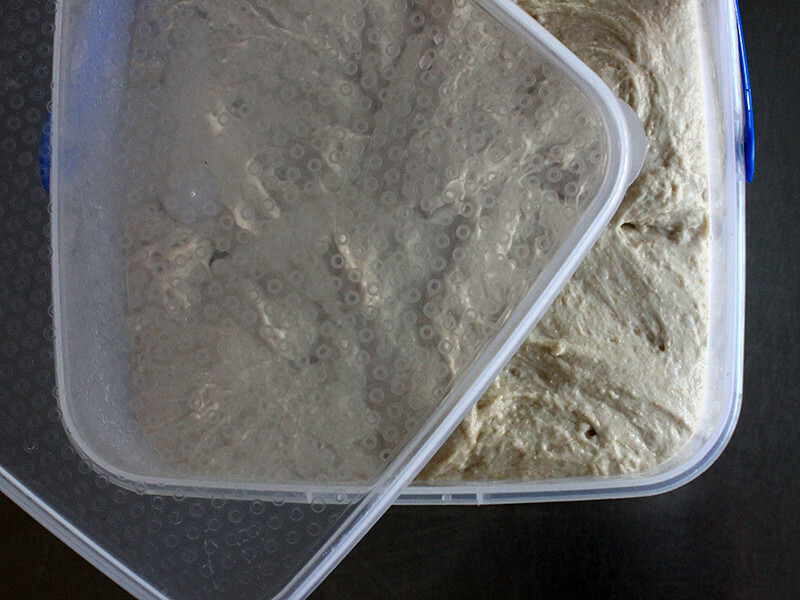 We have hit winter here so I am in bread making heaven ... perfect temperature for fermenting levains and doughs. I kept the temp at 250°C for the entire bake ... it drops quite a bit after loading and steaming so its only about half way through the bake before it reaches those temps again. They look great baked dark ... and crust flavour is awesome! I felt the dough could have taken more water ... especially after the bulk ferment in the fridge ... dough was very easy to handle. I will have to try the higher hydration again....I do retard overnight too but my lean doughs loosen as they ferment. Easy to handle which is one of the benefits of a long retardation time with whole grains. 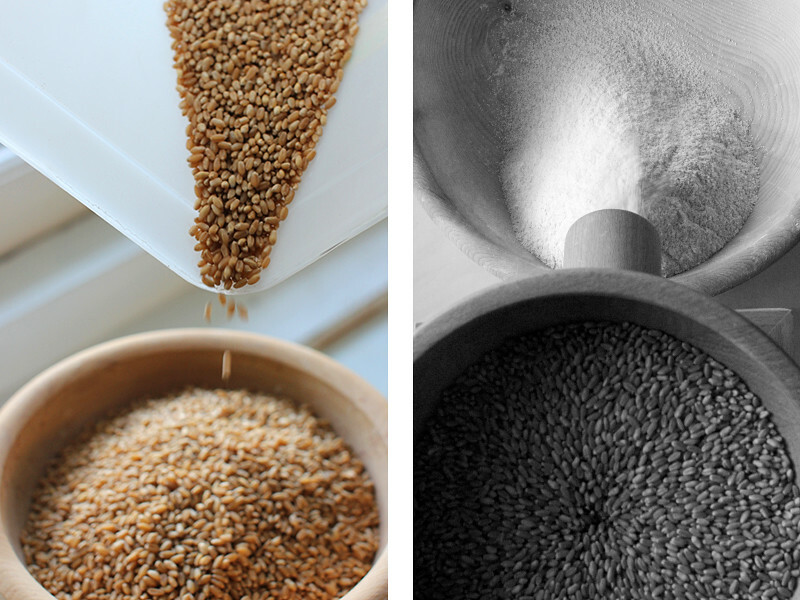 Lumos has a formula HERE which is a delight when using whole grains - I always convert using whole grains only and increase the hydration due to the whole grains. Maggie Glezer has several really good lean dough formulas in her book too. 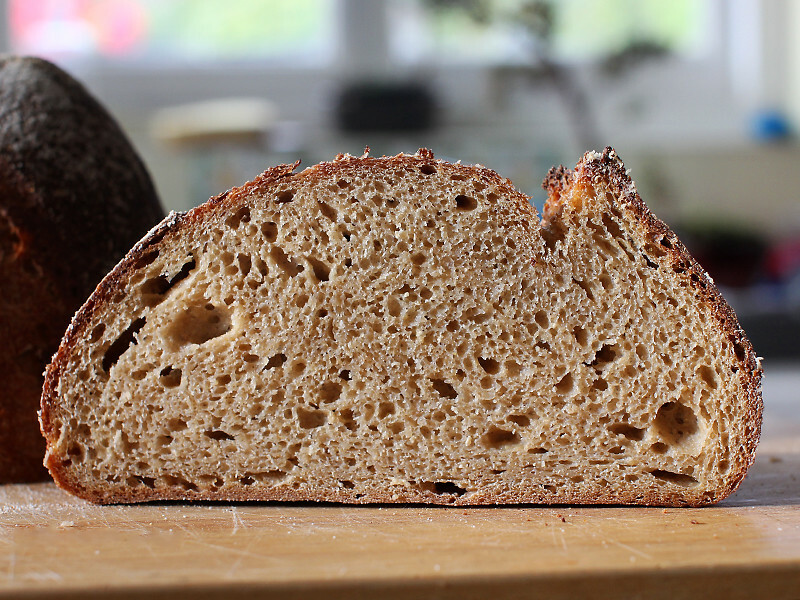 Her Tom Leonard and Essential's Columbia loaves are beauties when done with entirely whole grains. Glad to know you have switched to a 100% whole grain starter :) Your builds are like mine too. Daily builds are about 3-4 hours apart but I do 2 builds prior to using in a dough to build the yeast/boost power while minimizing too much sour flavor. 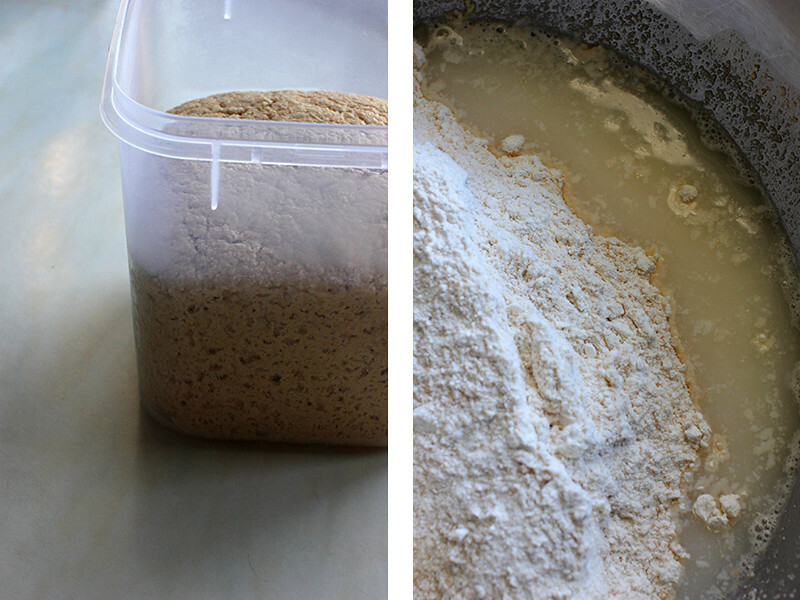 I use only 15% flour rather than your 18% or else I end up with too much fermenting in some of my loaves. In the summer I decrease to 13% - or at least I did last summer. Will see what happens this summer. I have lean dough in my bread line up to bake in a couple of days. I will give your temps a shot and see what results so thanks for the temp. info. Do you bake in convection mode or regular conventional mode for the entire bake? How much water do you add to your skillet for steaming? Time to feed the dogs, shape and proof today's bread and feed my leaven for tonight's dough. I have been doing two builds as well ... each are three hours long. 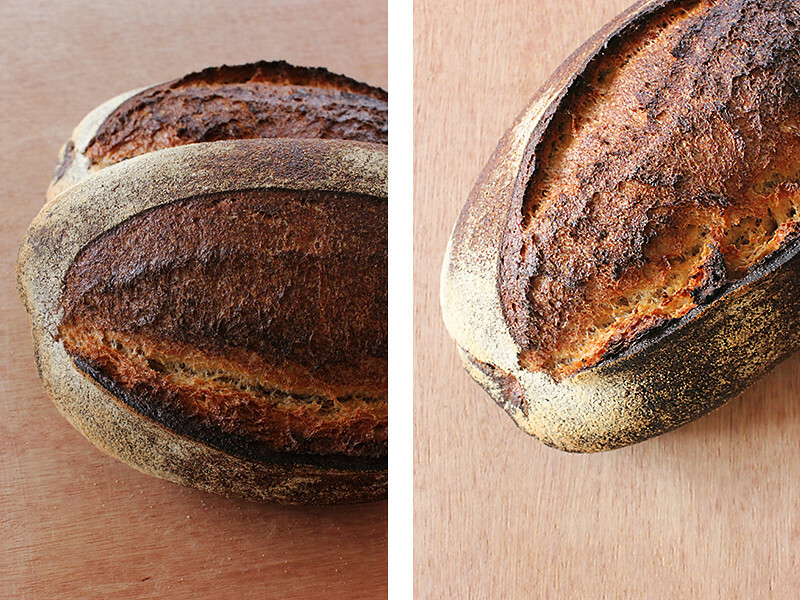 The 18% is the ratio of starter to final flour ... prefermented flour would be around 10%. My oven only does convection ... I have to turn it off for the first few minutes to allow the dough to spring without the fan causing issues. I use a ladle full of ice and then some water spray after I turn the oven back on. I am still playing around with different options to get the best result. Why do you use ice? I would think that would drop the temp. in your oven considerably as well as cooling your baking stone if you steam from the bottom of your oven. I used to use ice with my old oven. I would simply toss it onto the oven floor after loading the breads but it warped the bottom ot the stove and I do not want to do that to my new oven. Your journey has taken a path that is not finished yet. All of these stories are a part of the journey, shaping building and guiding you towards a more meaningful life. You are lucky that you stand up and see the beauty in all the little things along this path. Never stop seeing what is overlooked by the rest of us. 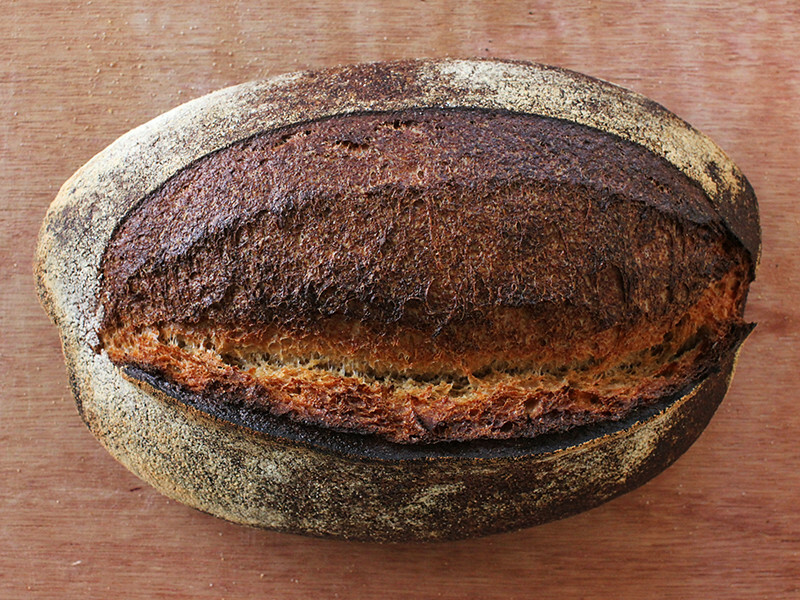 As usual, your bread is bang on perfect. And thank you for sharing mate. I never seem to be able to decide if your presentation or your baking are the more impressive. I'll declare this one a tie, and congratulate you on both. As Janet noted, the WFO experience is readily apparent in your loaves. I find it no surprise, either, that you are also influenced by Chad Robertson. Your very first photo could have jumped right off the cover of "The Bread Builders" by Daniel Wing and Alan Scott, where Chad and his loaves take center stage. Beautiful presentation of a beautiful bake Phil. I too offer you and your friend condolences and a prayer in your loss. It is hard to lose someone, but you have beautiful memories to cherish, and in those he is not fully lost to you. May he, indeed, rest in peace. Inspring bakes, even at home Phil! The bloom and ears are exemplary And flawless. 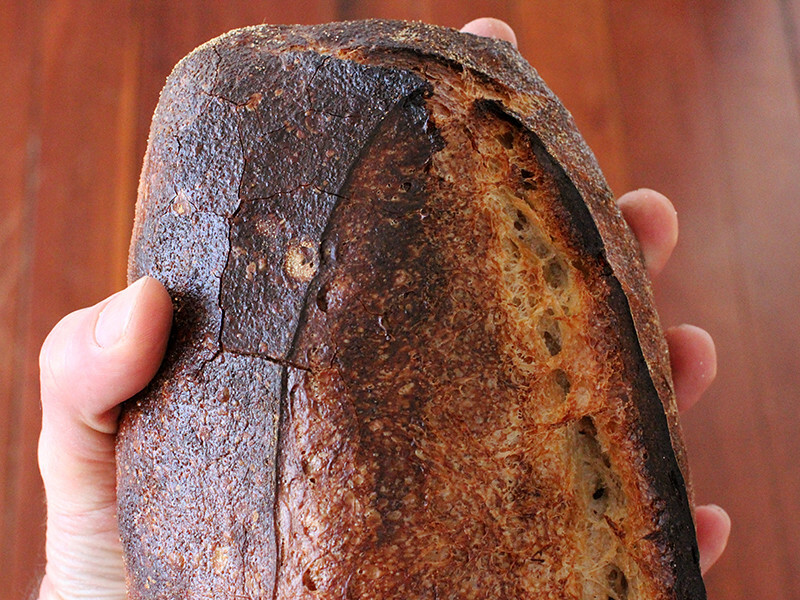 Beautiful bold crust and an excellent crumb to go with. Poetry! 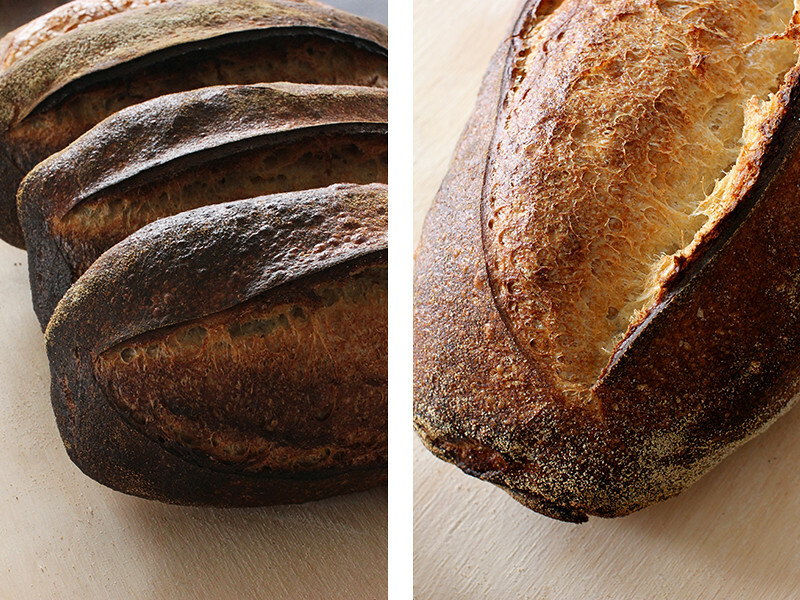 I'm glad you are doing what you enjoy doing best, Baking and photographing the process. Time with family is precious, i'm glad you are content to be with them. I'm expecting part 2 of your bread career adventure.I trust it is already brewing in your mind as we speak! It is nice to be at home for a bit ... 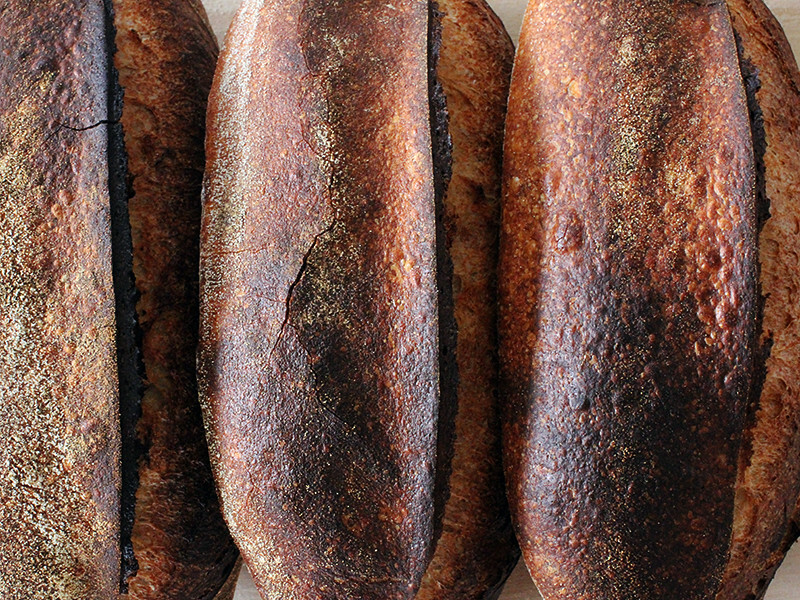 I really threw all of myself into working with the wood-oven ... more than is apparent in my postings. Nice to have the time to appreciate what I have around me. Nice bread and post Phil. Back to the home oven but the loaves are darker now. I just want my breads to show that high heat ... I think they taste better for it as well! 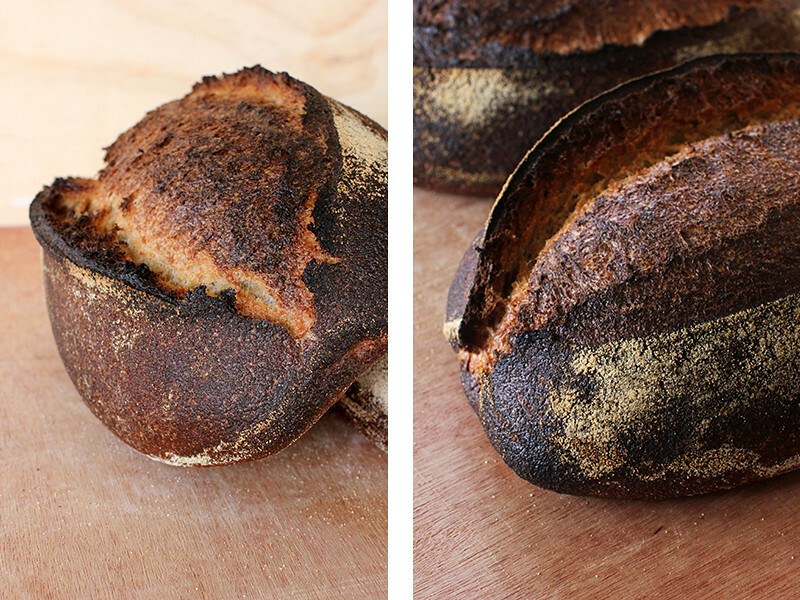 ... loaves are darker but the crusts are really crisp and flavoursome ... getting great cracking in them too. I will probably destroy my home oven in the process ... so I am looking at options there as well. Hi Phil. Good to hear from you back in your own kitchen. These look amazing. I agree with dabrownman, these loaves got a bit extra bold looking. 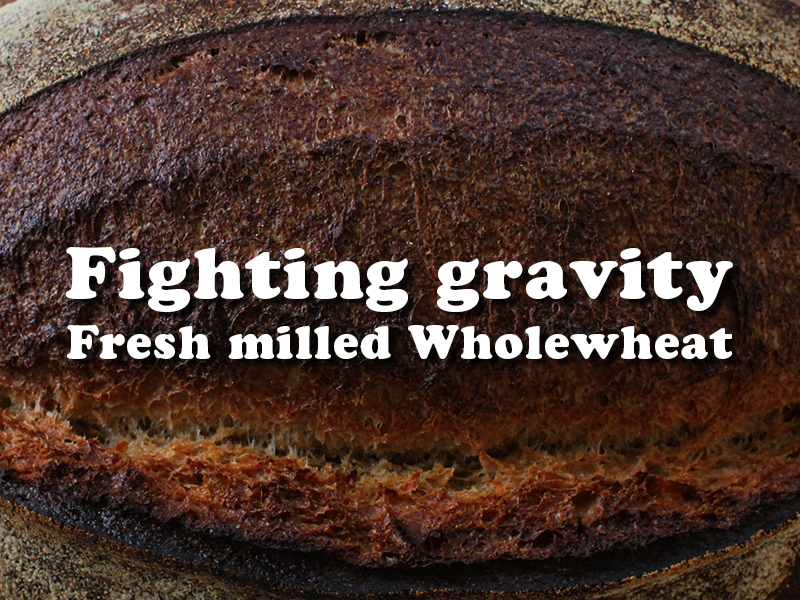 Is it perhaps due to the whole wheat? While you had been away, I was busy reading your old blog posts, studying your ingredients and methods. I owe a lot of my recent improvments to your sharing on here. Thanks a bunch for the continued inspiration to bake better breads! Take care and enjoy a little down time. Your last posts and photos were great ... what camera did you end up getting? Hi Phil. Thank you, as you have seen, I got a few much needed bread baking items to up the quality of bakes. Actually, I did not get a new camera. Still using the Nikon D5000. I got a tripod to get better results with longer exposure. Got the new Photoshop program. Also, eager to try out the polarizing filter for some great long exposure water flow/misty photos. I am still quite the amateur newbie photography nerd. Much to learn. I am still in the 'hey did you see that great close up of the bug!?' phase. Happy baking and good luck in everything you move into career-wise. Keep us posted. Such a beautiful and inspiring post! Wish I had one of those beauties to grace my table right about now. 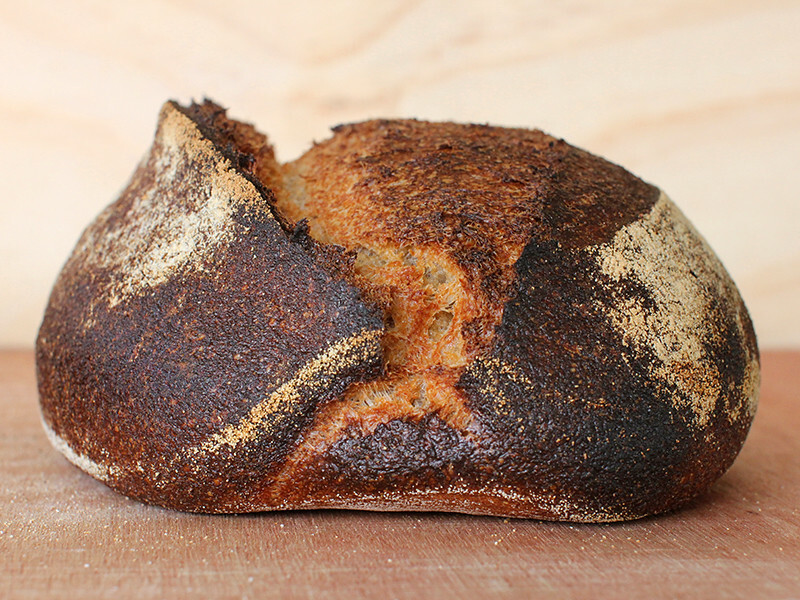 Your breads are spectacular, but so is your photography- my first thought on seeing the opening picture was that Jeffrey Hammelman should have used you to do his cover work for the second coming of Bread. Your too kind ... I really like the illustrations used in Jeffrey Hammelman's book ... and indeed the one on the cover ... I just think the layout on the cover was a little poorly executed. ... for your writing, baking and photography, Phil. All are just splendid. You certainly are going boldly. Can almost taste those extreme crusts. Exquisite. That first dark image is so dramatic. -- i would have believed it was the cover a book you'd decided to author. Best of luck. And thanks for sharing your latest, as always. Was really great to see you in the professional environment but it's lovely to see you (and your breads) back In your own kitchen after a long time, too. Interesting insight on adjusting back to the domestic oven after experiencing the pprofessional + WF ovens. Whatever the plan you have in mind for the future, I wish the very best luck and look forward to hearing what's coming up next. I have a feeling something exciting is on the way, again. Interesting you're reading Michael Pollan's latest book. I was thinking of reading it, too. Is it good? Just happened Food Programme on Radio 4 (UK) did an interview with him last Monday. If you're interested, here's the link. I am really enjoying the book ... I like his style of writing ... he has a very hands on approach and gets really involved in all the cooking style discussed. It has depth but is still easy to read. It has everything....especially the bread! I am familiar with Robertson, but can only find small snippets on Bourdon & Miller. What was the source of influence for these two? 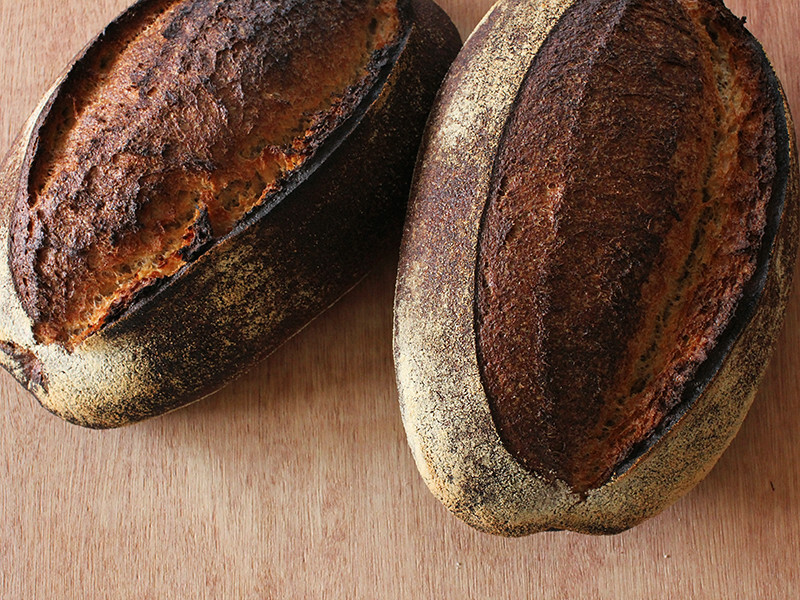 I don't remember exactly where I first started reading about Richard and Dave ... but they are more the quiet achievers of the bread world I would say. Dave sells his breads through the Chico Farmers Markets and Richard has the Berkshire Mountain Bakery ... google searches will bring up a bit of info about them. They are both interested in nutrition and fresh milled flour. I like that! 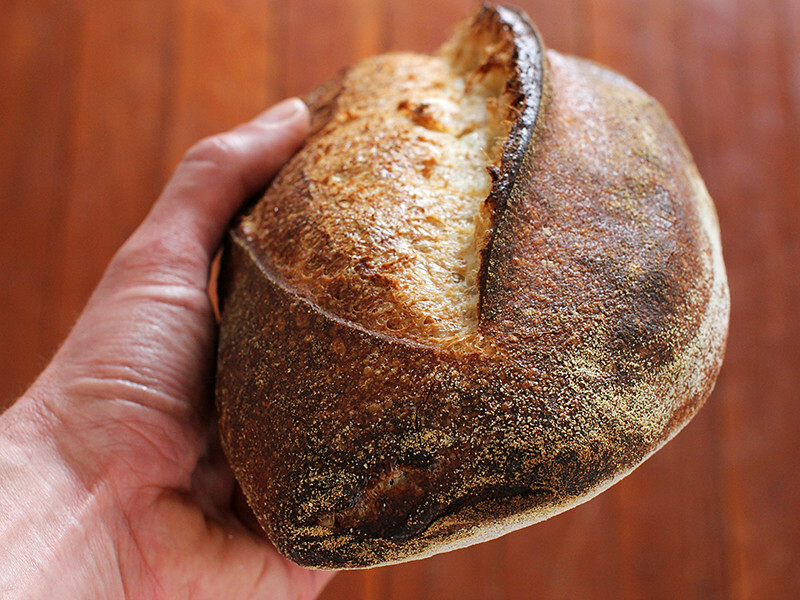 Now that you are baking at home again, how are you maintaining your levain, and in what quantity? Usually keep a couple of hundred grams going ... increase it when I know I will be baking soon. My Grand daughter oohed and Ahhhed over your pictures. She has been working with dough since she was able to stand on a chair...in diapers. LOL! BTW she was looking over my shoulder while I was reading the post...now she wants to try. Those loaves have me back in the game and trying 100% wholewheat again. Just too beautiful. Similar question. What wheat are you using? Hard Red? Hard White? I am using hard white winter wheat. 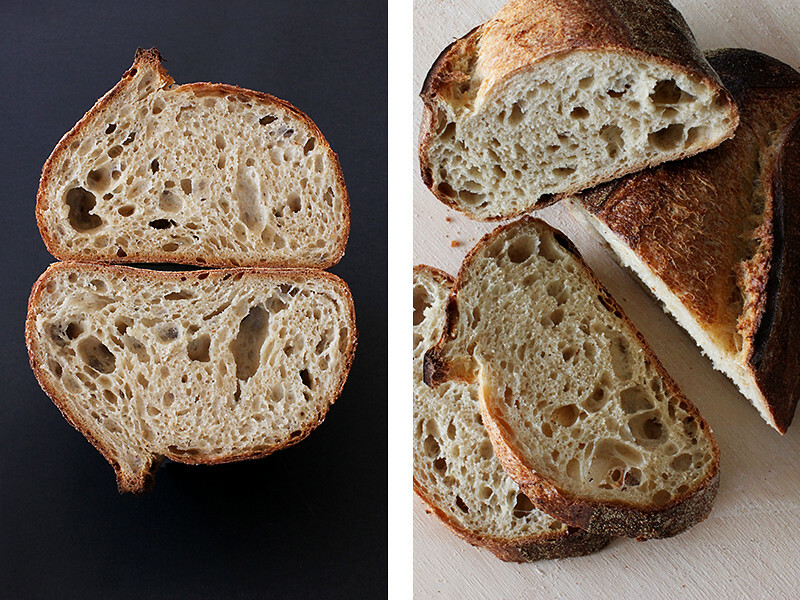 This is by far,the most gorgeous bread pictures that I have ever seen. 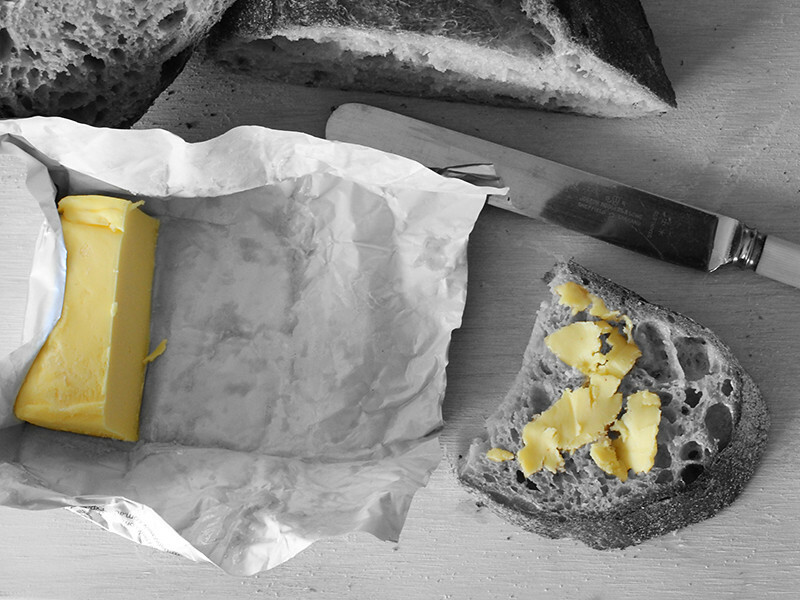 Not only did the breads looked gorgeous, your food photography is commendable. All the elements just came together. I too, grew a habit nowadays to capture the best 'moments' of my bakes. Good job Pips...happy baking there!